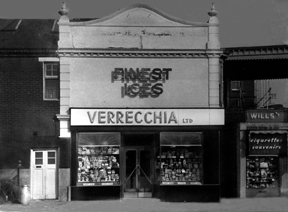 Verrecchia's in the Guildhall Square wasn't a club, but in the 1960's it was a very popular meeting place for young people and the Portsmouth mods, especially on Saturday afternoons when Lambrettas and Vespas could be seen parked in the Guildhall Square. The upper level of the Town railwat station can be seen behind the cafe, Commercial Road passes beneath it on the right. 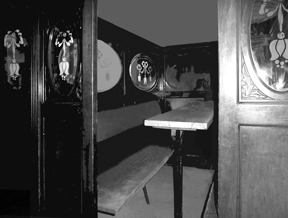 Inside Verrecchias was a line of wooden booths for people to sit in to enjoy their coffee or Knickerbocker Glory.